Cheri graduated with her M.A. in Creative Writing from Brigham Young University in 1995 and has taught writing and literature courses for the BYU Honors Program and English Creative Writing Program for over 20 years; she was awarded BYU Honors Professor of the Year in 2005 (which she brags about whenever she can). Cheri is the voice of George in the middle-grade novel series, Just In Time which she writes with Carol Lynch Williams. She also published a non-fiction children’s book for American Girl co-authored with Rick Walton in 2009, but in real life she writes young adult and adult novels. She won the Utah Original Writing Competition in 1994 for the YA novel, Flat Like Me, and took Honorable Mention in 1997 for the YA novel, The Swan. Her newest novel, Mr. Dietsche, is in revision for Agent Steve. Secret Agent Steve. Follow Cheri on her first public blog at dustingforfingerprints.wordpress.com where she is at this very moment drafting her first adult mystery novel . . . out loud. STAN BRONSON HOTTEST NEW TICKET IN ST. GEORGE "East Of Vegas" Show and Candlelight Dinner opens at the St. George Wingate by Wyndham Hotel September 19, 2013. Headlining at the East Of Vegas Show opening in St. George's newest hotel's Kalahari Room is Utah's own Stan Bronson with his "Unplugged" renditions of hit songs from Rock & Roll's beginning days in the 50's and 60's. It's a walk down memory lane as well as a fun-filled celebration as Bronson sings old hits by Elvis, Buddy Holly, Ricky Nelson, Paul Anka, Richie Valens, Jim Reeves, Fats Domino, Frankie Avalon, Fabian and more. Shows and dinners are currently scheduled for 7:00 p.m. each Thursday, Friday and Saturday nights September 19th through October and beyond, year around. Other acts are also being auditioned to potentially entertain at East Of Vegas. Bronson who sang with bands back in the 50's and 60's is a long time recording artist and record producer with a Grammy Nomination to his credit. Bronson is most widely known for his recordings of original folk songs depicting the Old Utah Wild West. But, being an original Elvis Presley fan, his first musical love is singing the songs he grew up on. In addition to his career in music, as an actor and artist's model he has appeared in numerous films and artist renderings portraying various characters including Jesus Christ. Stan Bronson who has been playing professionally part time since he was 16 years old, wittily bills himself as America's "Rock & Roll Rookie" as he opens his fun and romantic "East Of Vegas" Show and "Misty Moonlight Candlelight Dinner" at the St. George / Bloomington Wingate Hotel. He laughingly says, "I've been playing in the Minor Leagues for more than 50 years. I'm now being "called up" to play in the Majors. 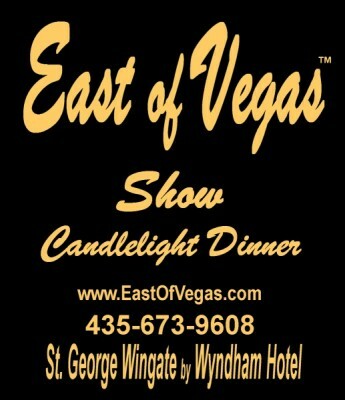 Limited Seating "Advance Reservations Only" Show Tickets and Information are available through Wingate Hotel at 435-673-9608 or at www.EastOfVegas.com. The Echo Theatre is an independent theatre located on University Avenue in Provo. It was started by 4 people who believe that everyone can create–they just need a place and an opportunity. The Echo houses original plays and musicals, as well as old favorites and shows that aren't performed enough in the area. 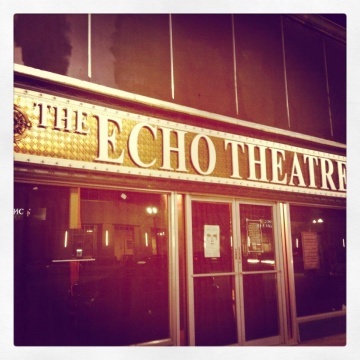 The Echo is also home to The Cinematics, an improv troupe that combines the spontaneity and hilarity of improvisation with the glamour of old Hollywood. MASTER’S DEGREE IN SPEECH AND THEATRE ARTS WITH MINOR IN FRENCH. ACTED IN LOTS OF PLAYS AT THE U — HEDDA GABLER, CAVE DWELLERS, SEPARATE TABLES, ANASTASIA, SING OUT SWEET LAND, TIGER AT THE GATES, BELL BOOK AND CANDLE, DRACULA,SHAKESPEARE WITH GEORGE C SCOTT AND COLLEEN DEWHURST. PLAYED LEADS OR MAJOR ACTOR ROLES. WORKING ON A MUSICAL PLAY RIGHT NOW — HAVE COMPOSED 8 SONGS, WORDS AND MUSIC. 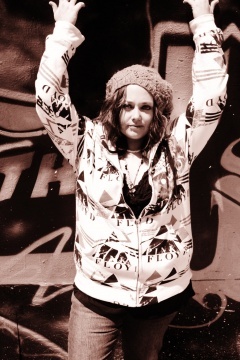 WORKED OFF-BROADWAY IN NEW YORK PLUS DID COMMERCIALS AND MODELING. AS YOU HAVE SURMISED, I AM A MATURE WOMAN WHO ALL OF A SUDDEN GOT THE URGE TO THROW HER HAT IN THE RING AGAIN. I am playing in a group called Utah Classical Guitar. We also have a quintet ensemble that performs at various venues. Fernando Espindola has been playing Andean music since his early teenage years in Bolivia. As a native of Oruro, the city famous for having the most elaborate carnival in Bolivia, he was exposed to a concentration of folklore that would be difficult to equal anywhere else. Fernando has developed a high degree of instrumental facility on both the kena and the various zamponas. He has composed original music for his group Llajtayku and employs his intimate knowledge of Bolivian genres to add an individual dimension to the group’s repertoire. Fernando and Llajtayku have performed at Salt Lake’s Living Traditions Festival, the Utah Arts Festival, First Night, and various other Utah venues. Fernando’s skills also include organizing and leading a folk-dance ensemble that performs at Centro Civico Mexicano, among other places. He speaks English, Spanish and French. Fernando writes, “The music of the Andes is music with feelings; it has riches in ritmes, melodies and instruments. It can help people feel better.” Call artist for availability; requires a small sound system. Prefers small groups, 10-15 students. Available for short-term activities. Carol Esterreicher, a member of the Utah Storytelling Guild (www.utahstorytelling.org), tells stories using spoonerisms, lipograms, substitutions and other word play techniques that “tickle the tale” bringing laughter to audiences of all ages. In her workshops story lovers learn how to invent tales such as Ladle Rat Rotten Hoof and Beeping Sleauty! Be sure to listen to the rowdy holiday version of The Chright Before Nistmas (www.storyteller.net/tellers/cesterreicher). Audiences at Solitude Resort have enjoyed her Christmas Eve programs for eight consecutive years. Like many contemporary storytellers, she tells personal tales such as Tales of the Heart which she performed at the Florida Storytelling Association's Annual Story Camp's Sacred Stories concert. During February, 2015 she will be instructing and coaching storytelling classes at the Murray Heritage Senior Center in Murray, Utah. Personal life stories are encouraged and appreciated. Carol's continuing public performance at the Salt Lake City Gallivan Center’s Lunch Bunch at Noon series will be announced in May, 2015. At the Gale Center for History and Culture in South Jordan, Terrific Tuesdays feature Carol’s 2015 storytelling and take-home craft events are scheduled at 10:15 a.m. each month (January, February, and March) on the last Tuesday. Carol is a recipient of the National Storytelling Network’s Oracle award (www.storynet.org). She enjoyed two seasons with the Traveling Tellers funded in part by the Utah Arts Council. Carol has entertained at Salt Lake City’s First Night, the Gallivan Center’s Lunch Bunch Series, Red Butte Garden’s “October Garden After Dark” Halloween programs, and the Utah Arts Festival’s Big Mouth Café. Salt Lake County libraries have also hosted her storytelling programs. At the Timpanogos Storytelling Festival’s Swappin’ Grounds, the annual Weber State University Storytelling Festival, as well as Clearfield and Farmington Storytelling Festivals, audiences have heard her favorite Tales from Chelm, The Three Piddle Ligs, and novel versions of Russian folktales. Senior Centers in Sandy, Draper, Holladay, and Riverton have enjoyed Carol’s holiday and seasonal storytelling programs. School assemblies are among Carol’s favorite venues. She especially supports the idea that storytelling is an important way to preserve our heritage and promote literacy and communication skills. Visit her blog, http://carol2blog.blogspot.com and her Utah Education Network page www.uen.org/myuen/60902 to learn more. Carol won first place in a storytelling competition at the Scandinavian Festival in Ephraim, UT for her first person portrayal of Ephraim’s very first young female telegrapher. 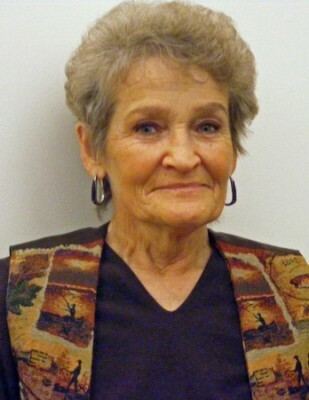 Most recently, Carol has been a frequent Storyteller at the South Jordan Gale Center for History and Culture. During the last week of each month, Terrific Tuesdays feature Carol’s storytelling and arts & craft activity. Visit her website, www.carolstories.com and check her monthly calendars.